A diplomatic dispute between Canada and Saudi Arabia has repercussions for our health care system, says @NightshiftMD. Between 800 and 1000 medical residents from Saudi Arabia who currently work at Canadian hospitals will be forced to return home by the end of August. It's one consequence of a diplomatic dust-up between the kingdom and the Canadian government. It's going to have an impact on our healthcare system. The residents are graduates of medical schools in Saudi Arabia who are doing postgraduate training at Canadian hospitals per a visa agreement between the two countries. A scholarship program set up by Saudi Arabia pays roughly $100,000 per trainee per year. In return, the Saudi graduates get to complete a high-quality residency training program in Canada in disciplines that include orthopedic surgery, internal medicine, obstetrics and gynecology, pediatrics and others. Residents trained in Canada under the visa program are called 'supernumerary' residents, meaning their numbers are over and above the complement of residents who are principally graduates of Canadian medical schools. Still, they enhance Canada's healthcare system by taking care of patients at Canadian hospitals as part of their training. Most if not every province is affected. 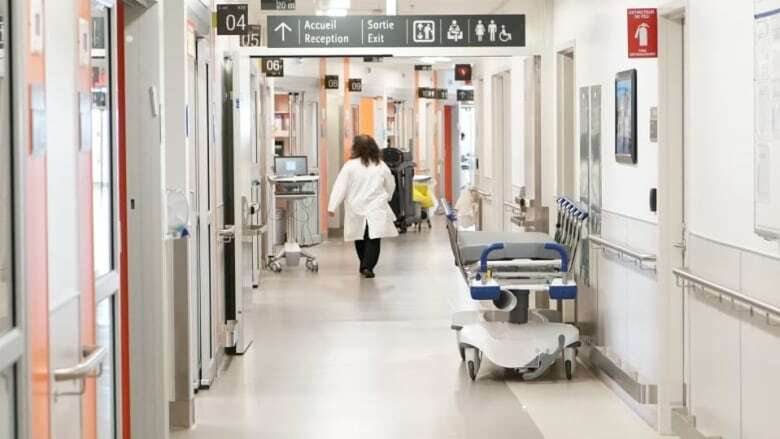 There are 225 residents and fellows who work at McGill University Health Centre (MUHC), representing 20 per cent of the residents there. Two hundred and sixteen Saudi residents work at teaching hospitals in Toronto. Ninety-one residents work at London Health Sciences Centre. Ten are employed at hospitals in Windsor. More than 50 Saudi residents work at Dalhousie and other teaching hospitals in Nova Scotia. Forty-four residents and clinical fellows work at university-affiliated hospitals in B.C. It's important to emphasize that only teaching hospitals are affected by the departure of Saudi residents. Non-teaching hospitals that do not employ residents are not impacted. I've worked alongside Saudi residents in almost every discipline from orthopedics to internal medicine. This issue hit home during a shift in the ER last week. I saw a critically-ill patient who was suffering from severe shock from profound dehydration. I worked to save her life and then I referred her to the ICU team. A junior resident came to the ER supervised by a fellow from Saudi Arabia. The fellow provided service to my patient and was teaching the junior resident. I went to the junior resident to say thanks for helping out. "He'll be gone in two weeks," she said with a look of despair. That's just one story. In 2018, teaching hospitals have employed roughly 4,100 residents, 800 or more from Saudi Arabia. The departure of 800 or more of them means a sudden loss of 20 per cent of the residents. For teaching hospitals, it probably means cancelled surgeries and elective admissions to hospital. It also means the remaining 3,308 residents and probably some attending physicians and surgeons will be overworked, extra tired and sleep-deprived from picking up the slack. Then, there's the cash. Each Saudi resident adds $100,000 per year in funding to residency training programs. Without that source of cash, it's possible that some residency programs in Canada will not be able to continue to teach Canadian residents. The departures are happening amid stories of a growing number of graduates of Canadian medical schools who can't find a residency position. You may be wondering if this good news for them. The short answer is no. The Saudi residents' numbers are beyond the complement of residents paid for by the provinces. If the loss of 800 Saudi residents becomes permanent, it will be up to individual provinces to decide whether or not to increase the number of residency positions for Canadian medical school graduates. This year, 169 Canadian graduates did not obtain residencies, the largest number ever recorded. If the provinces gave each of them a residency, the system would still come up hundreds of residents short. The immediate fix is for Canada and Saudi Arabia to resolve their differences and for the Saudi residents to return to Canada. Failing that, this is an opportunity for Canadian stakeholders to re-examine a working relationship that allows a significant chunk of our made-in-Canada healthcare training system to be subsidized by a foreign government. Clearly, it's a subsidy that comes with strings attached. This may be a good time to cut the tether.